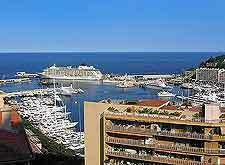 Monaco tends to be a rather exclusive place to look for accommodation, and hotels within Monte Carlo are usually rather expensive, even for the most basic of lodging. However, Monte Carlo's hotels have the distinct advantage of being located amidst the glamour and casinos of this luxury resort. Accommodation in Monte Carlo is especially pricey if its guest rooms overlook the Mediterranean Sea, and many modern hotels and resorts have grown up around the seafront, offering swimming pools, private beaches and coastal views. If you are arriving here on a tight budget and want to stay in the heart of the action, you may find it hard to find hotels and similar accommodation within your price bracket. 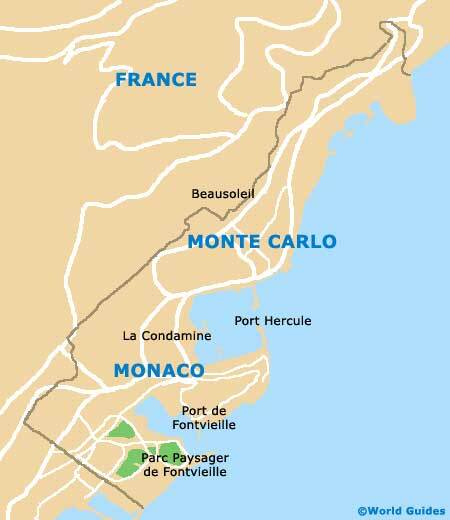 However, the recently opened three-star Novotel Monte Carlo is within the reach of many tourists, being conveniently within the Principality area and right next to the train station. If you are prepared to stay close by, various different lodging options soon present themselves. Those looking for cheap hotels close to Monte Carlo and outside of Monaco should look for accommodation within one of the neighbouring towns, cities and resorts. Worth considering are the much more affordable hotels within the seaside town of Ventimiglia, with lies next to the Gulf of Genoa and close to the France - Italy border. Also close to Monaco are some very reasonably priced hotels within Beausoleil, while just 30 minutes away, the French city of Nice is another good bet and connected by frequent trains. If money is no object, then Monte Carlo is the perfect place to find five-star accommodation and enjoy a luxury holiday. The Columbus Hotel in La Condamine resides next to the Stade Louis II within the Fontvieille district of Monaco and is actually owned by Formula 1 driver David Coulthard, while next to the very famous Place du Casino, the Hotel de Paris is amongst Monte's Carlo's plushest options, as is the Hotel Hermitage on the Square Beaumarchais.